Zen Natural Beds, know that comfort, quality, durability, environmentally friendly and sustainable practices, and supporting as locally sourced and produced as possible, are important considerations, when your choosing which new mattress to invest in. Zen Natural Beds, 15 year warranty, 100% natural organic latex mattresses are available in seven comfort level options. Within these comfort levels we provide you with a choice of thicknesses, varying from 15 cm up to 25 cm. .
Why do we give you such choice? Because all of us come in different shapes and sizes. Our height, weight and sleep positions, all affect our selection process for the perfect mattress, and we want to be able to help you find the one that suits you best! Zen Natural Beds, creates unique comfort level options for you. Our firmer mono zone, 15 year warranty STILLNESS RANGE, is available in an 18cm or 23cm thickness, in two comfort levels, regular and firm. A mono zone, has one uniform small pin core hole pattern, across the whole natural organic latex core. 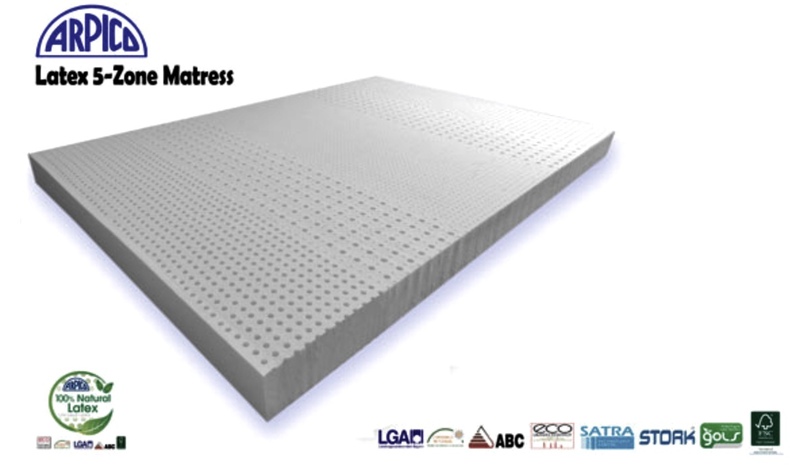 Our 5 zone, 15 year warranty PEACE RANGE, is available in 15cm, 20cm, 25cm thicknesses in regular and firm comfort levels. The five zone core, has a centre side to side zone, of small pin core hole pattern (same as the mono zone all over pin core hole size). The next zone, either size, of the small hole centre zone, towards both ends, is a slightly larger pin core hole. Then the last zone on both ends, is slightly larger again. 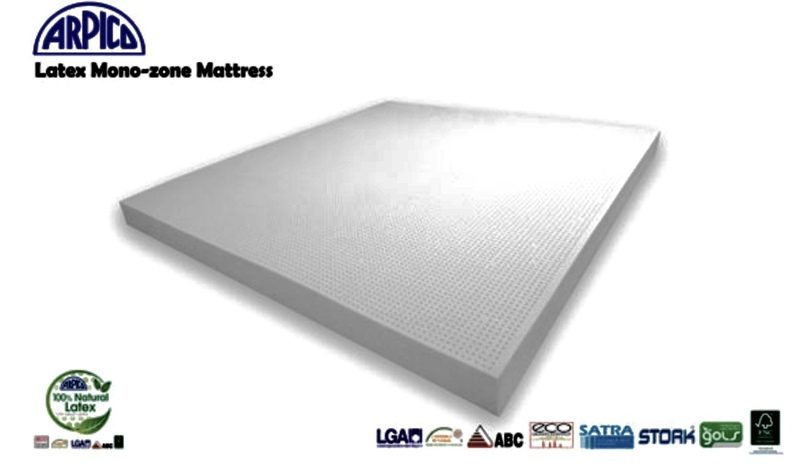 The five zone, while still being firm and supportive, and by our adding, a 30mm, egg carton, cut layer of latex either side, has a plusher comfort level, than the mono zone. Pin cores holes, are small tube like holes in the latex core, that allows natural air circulation for cooling ventilation, and body heat dispersion.